Click the button below to add the Human Digital Technology UltraJet 3500 Air Subtank to your wish list. 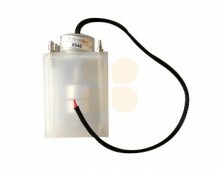 This air safety subtank is suitable for Human Digital Technology UltraJet 3500 Series printers. This is the original Human Digital Technology part. This subtank has 6 connectors.